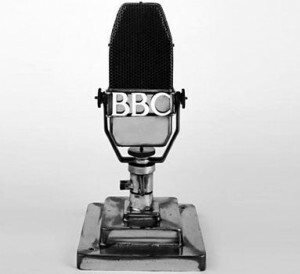 Romany was a regular broadcaster on BBC Radio from 1933 until his death in 1943. Most of his work was with BBC Children’s Hour where his programme Out With Romany described his adventures with wildlife whilst travelling his vardo, or gypsy caravan. Pulled by Comma the horse, and accompanied by Raq the dog, Romany would find and explain natural history to two children, Muriel and Doris. The programmes were all scripted and recorded in the BBC Manchester studios but were made to sound as if spontaneously recorded in the countryside. The programme was immensely popular, with 13 million listeners at its peak, but it was cut short abruptly by his unexpected death in 1943. Only one recording survives – of a programme broadcast just a few weeks before Romany’s death. That recording is now available on CD – for details click here to visit our The Lost Half Hour page.